BARCLAY, THOMAS HENRY, lawyer, politician, militia officer, and office holder; b. 12 Oct. 1753 in New York City, eldest son of the Reverend Henry Barclay and Mary Rutgers; m. 2 Oct. 1775 Susan DeLancey in West Falls (New York City), and they had 12 children; d. 21 April 1830 in New York City. Thomas Henry Barclay was one of the most illustrious loyalists to settle in Nova Scotia. His father was a prominent Anglican clergyman who served as rector of Trinity Church in New York City, and his mother was the daughter of a rich brewer of old New York Dutch descent. Barclay’s marriage strengthened his ties to the colonial establishment, for the DeLanceys had long been among the most influential families in New York. Barclay spent his early life in New York. After graduating from King’s College (Columbia University) in 1772, he entered John Jay’s law office as a student and was called to the bar in 1775. 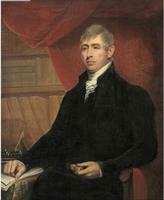 His legal career was soon interrupted by the outbreak of the American Revolutionary War. Towards the end of 1776 he joined the British forces in New York and in April 1777 was commissioned a captain in the Loyal American Regiment. Later that year he was promoted major in recognition of his gallant service at the capture of forts Clinton and Montgomery on the Hudson River. In 1780 he was named to command the newly formed Provincial Light Infantry. Barclay served with distinction throughout the war, taking part in action in New York, New Jersey, and the Carolinas. He was captured by the French in 1781 while carrying dispatches to Lord Cornwallis but soon obtained parole and returned to New York. At the end of the war he was one of a group of senior officers who explored the Saint John River (N.B.) to locate suitable land for the settlement of the provincial troops. Barclay’s estate in New York had been confiscated in 1776 and he was specifically named in the act of attainder passed by the New York legislature in October 1779. He had therefore little choice but to join the loyalist migration north. At first he contemplated settling in New Brunswick, but instead he established his family in Wilmot Township in the Annapolis valley of Nova Scotia, where he and brother officers of the Loyal American Regiment received extensive grants of land. By the late 1780s he had moved to the town of Annapolis Royal and resumed his law practice. As befitted a man of his education and social standing, Barclay promptly entered politics. He and fellow loyalist David Seabury were returned for Annapolis County in the House of Assembly elections of 1785. A gifted orator, Barclay became a dominant figure in the sixth assembly, the first in which the loyalists were represented. He was soon at the centre of a controversy which pitted loyalist against pre-loyalist when Alexander Howe*, member of an old Nova Scotia family, petitioned against Seabury’s election. Howe claimed that the sheriff of Annapolis County had shown partiality by permitting some of Seabury’s supporters to vote while disallowing some of his own. The assembly’s election committee, four of whose five members were pre-loyalists, found in Howe’s favour and ordered the issuance of a new writ. In the subsequent by-election, Seabury was returned but his election was again challenged. The assembly concluded the debate by unseating Seabury and declaring Howe duly elected. Throughout the controversy, Barclay had supported his running mate and indeed had exacerbated the split between old and new settlers by exhorting Annapolis County loyalists to unite behind Seabury who, he claimed, had been unjustly deprived of his seat because of the assembly’s partiality. His inflammatory letter became a divisive issue during the 1786 session when, despite opposition from loyalist assemblymen, the pre-loyalist majority passed a motion forcing Barclay to apologize for his allegations of favouritism. The sixth assembly proved to be preoccupied by constitutional issues, reflecting the political maturity and ambition of many of the new loyalist assemblymen. Loyalist members, with Barclay prominent among them, engaged in a forceful campaign to enhance the assembly’s role as the representative branch of the legislature. The most sustained conflict between assembly and Council arose over the administration of justice in the Supreme Court. Since the death of Chief Justice Bryan Finucane in 1785, the puisne judges, Isaac Deschamps* and James Brenton*, had constituted a full court. Complaints about their actions prompted investigation by the assembly during the 1787 session. The house concluded that the evidence warranted a thorough review of the charges by Lieutenant Governor John Parr*. His official report was not presented to the assembly until the 1789 session. In the mean time, the question emerged as the major controversy in the Halifax by-election of February 1788, in which Jonathan Sterns, one of the loyalist witnesses against the judges, opposed Charles Morris, a Haligonian closely allied with the official clique. Opinion was further enflamed when the Council issued its own report soon after the election, completely vindicating the conduct of fellow councillor Deschamps and Brenton, brother-in-law of a Council member. When Sterns and William Taylor, the other chief witness against the judges, retaliated with public letters in March detailing their charges, Deschamps disbarred them for contempt of court. The two sailed for England the next month to present their case to imperial officials, while from Halifax Parr denounced their mission and warned that their actions represented a direct challenge to the maintenance of British authority in Nova Scotia. Although less dramatically phrased, Parr’s official response to the assembly on 12 March 1789 was wholehearted in its support of the judges, concluding that the evidence did not justify the accusations against them. Barclay immediately moved that the lieutenant governor provide copies of the documents justifying the Council’s exoneration of the judges. This challenge to independence of the executive branch was defeated on a close vote of 14 to 13 and Parr’s report declared satisfactory by an equally close vote of 15 to 14. The issue was by no means dead: two days later Isaac Wilkins moved to ask Parr to dismiss his councillors for their “evil and pernicious” advice on the disposition of the judges’ case. In seconding the motion, Barclay read his fellow legislators a lesson in constitutional theory. He urged them to consider themselves the natural guardians of the rights of Nova Scotians, invested with the authority to review the conduct of the Council and indeed of the lieutenant governor himself. Many assemblymen who had previously supported the attack on the judges drew back from such radical arguments and Wilkins’s motion went down to defeat by a vote of 21 to 8. The assembly returned to the “judges’ affair” with renewed vigour during the 1790 session. A formal inquiry was instituted with Barclay serving as chief prosecutor to prepare impeachment charges against Deschamps and Brenton. In the end seven of the thirteen charges were included in an address to the king in April praying that the judges be brought to trial. By the time the Privy Council’s review of the case had been received in Halifax in August 1792, the passage of time and the efforts of a new chief justice, Thomas Andrew Lumisden Strange*, had alleviated much of the dissatisfaction with the Supreme Court. The report acquitted the judges of deliberate wrongdoing but admitted that they had at times acted incompetently, which indeed had been the substance of the assembly’s complaints. The question of the judges had dominated the assembly’s deliberations, but in 1789 assemblymen had turned again to the contentious issue of election reform which they had considered during their first session in 1785. Assembly members were especially concerned to control the composition of the house by adjudicating contested elections and determining qualifications for both electors and candidates, rights exercised prior to the sixth assembly by the lieutenant governor and Council. On 31 March 1789 Barclay moved a two-part resolution asserting these rights and also barring office holders from membership in the assembly. The first clause passed with broad support but the proposal to exclude placemen was defeated through the opposition of members allied with the Halifax coterie. The next day, a special committee on electoral reform brought in a bill setting forth the assembly’s sole right to determine all election questions. The measure retained use of a single poll in each constituency, however, and therefore did not benefit the back-country voters, who were often effectively disenfranchised since they could not travel to the central polling location. Many of the rural areas affected were represented by loyalists, and the loyalist members, supported by other country members, unsuccessfully opposed the bill, despite its similarity to Barclay’s earlier resolution. The active participation of Barclay and other loyalists in the assembly reflected their assumption that the legislature was the natural focus of public life. As well, it illustrated their determination not to be excluded from positions of influence and authority by the strongly established bureaucracy they encountered in Nova Scotia. The appointment of loyalist John Wentworth* as lieutenant governor in 1792 helped to ease a number of their frustrations. Like many loyalists, Barclay was at the centre of public life throughout the 1790s. He was elected to represent Annapolis Township in 1793 and was unanimously chosen speaker of the new assembly. Wentworth, who had earlier recommended Barclay to fill a vacant Council seat, realized that he now had a valuable ally as leader of the assembly. Indeed Barclay worked closely with the lieutenant governor in managing the assembly’s participation in a program of retrenchment and increased taxes to rid the province of the heavy debts that jeopardized its financial position. Barclay’s military experience was also called upon during the 1790s. In 1793 he was named lieutenant-colonel of the new Royal Nova Scotia Regiment, which Wentworth was authorized to raise following the outbreak of war between France and Britain. Barclay, however, preferred to establish a volunteer regiment of infantry, cavalry, and artillery, drawn largely from the former provincial soldiers now settled in the Annapolis valley. Known as the Nova Scotia Legion, this force of 1,000 men was intended principally to defend the Bay of Fundy shore but was available for duty elsewhere in the province. Barclay was also appointed adjutant general of the militia in June 1793 and was instrumental in drawing up a new act that reorganized the poorly equipped and ill-trained corps. Wentworth’s esteem for Barclay’s abilities and loyalty was reflected in his recommendation of the speaker as the British boundary commissioner under the terms of Jay’s Treaty of 1794. The fifth article of this treaty sought to clarify the border between the United States and New Brunswick, described by the Treaty of Paris in 1783 as the St Croix River. 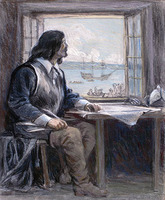 The essential problem was to establish which of the two major rivers flowing into Passamaquoddy Bay was indeed Samuel de Champlain*’s St Croix. Negotiations ended successfully for the British in October 1798 with the western river, known locally as the Scoodic, being accepted as the St Croix, and with its source being agreed on as the northwest headwaters of its tributary the Chiputneticook. Barclay returned to Nova Scotia late in 1798 with his reputation enhanced by the success of the negotiations. As a native American with fine legal and diplomatic skills, he had indeed been an excellent choice as commissioner, although much of the strength of the British position had been the result of the indefatigable work of agent Ward Chipman and his volunteer assistant Robert Pagan. The British government rewarded Barclay with appointment to the Nova Scotian Council early in 1799. During his sojourn in the United States, however, Barclay had decided his future lay not in Nova Scotia but with the imperial public service, and had solicited the post of consul general in New York to succeed the ageing Sir John Temple. He was appointed to the office in January 1799 following Temple’s death. Although Barclay never returned to Nova Scotia, he remained in touch with the province and its concerns. He held extensive tracts of land in the Annapolis valley throughout his life and in fact late in 1800, when it was expected that Wentworth would be dismissed for his mismanagement of the maroons, rumours flew in Nova Scotia that Barclay was seeking the office of lieutenant governor. At the outbreak of war between Britain and the United States in 1812, Barclay was recalled to London, but in November was appointed agent for British prisoners in the United States and returned to New York in April 1813. The end of the war again brought the problem of the international boundary to the forefront. The Treaty of Ghent made provision for commissions to continue the work of establishing the border between New Brunswick and the United States. Barclay’s experience on the earlier commission and his position as consul general made him the clear choice as British commissioner. Once again, Ward Chipman served as the British agent. The new commissions dealt with two areas: ownership of the islands in Passamaquoddy Bay and extension of the border from the source of the St Croix north to the St Lawrence. The issue of the Passamaquoddy islands was settled late in 1817, following arguments from both sides as to which islands had been included in the ancient borders of Nova Scotia established by the Treaty of Utrecht. The decision was a satisfactory compromise: Britain received Deer Island, Campobello, and Grand Manan while the United States retained Moose Island, where the town of Eastport had grown up, as well as two small adjacent islands. The inland border proved a vastly more difficult problem. For three years, the commission met trying to agree upon the location of the “highlands” which had been set as the northern point of the border. British negotiators aimed to preserve the vital overland route through Lac Témiscouata, Lower Canada, to the St Lawrence while the Americans bargained for as much of the valuable timber area as possible. When agreement could not be reached, the question was submitted to the king of the Netherlands for arbitration. His decision, released in 1831, was not accepted by both parties and the question remained a contentious issue until settled by the Webster–Ashburton Treaty of 1842. Participation in the second boundary commission was Barclay’s final contribution to public life. 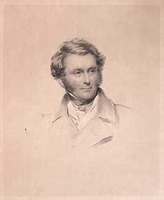 Early in April 1822 he made the last of his four visits to Britain, taking with him documentation for the British case for presentation to the Foreign Office. After his return to New York, he moved to a country home on Manhattan Island where he lived the peaceful life of a retired gentleman. His health began to fail during the summer of 1829 and he died on 21 April 1830. He is buried in the churchyard of St Mark’s Church in the Bowery. 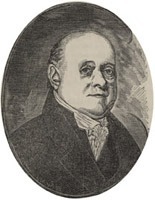 Thomas Barclay played a significant part in the political development of Nova Scotia during the turbulent sessions of the sixth assembly. Educated in the political ferment of the old colonies in the years before the American revolution, many loyalists retained assumptions about the role of the assembly which underlay later constitutional struggles in the province. Barclay’s speech urging impeachment of the Council gave forceful utterance to a concept steadfastly espoused in subsequent years: that the assembly was the colonial counterpart of the House of Commons. Similarly, the assembly’s firm assertion of its inherent right to primacy in financial measures, set forth by Barclay during the 1790 session, was no less tenaciously upheld than it was to be by succeeding assemblies. For Barclay, as for many loyalist leaders, entry into the colonial establishment was to blunt his opposition to executive authority. Yet the stimulus they gave Nova Scotian political life helped give rise to later reform movements. In many respects, Barclay epitomizes the romantic ideal of the loyalist: a rich university-educated Anglican who had fought bravely for his king. On the other hand, he is also representative of the large body of loyalists of all classes and conditions for whom Nova Scotia was little more than a way station. Barclay’s talents and background, however, placed him in the fortunate position of being able to return to his native land while still honourably serving the cause for which he had accepted exile. Some of Thomas Henry Barclay’s correspondence has been published under the title Selections from the correspondence of Thomas Barclay, formerly British consul-general at New York, ed. G. L. Rives (New York, 1894). Maine Hist. Soc. (Portland), Thomas Barclay papers (mfm. at PANS). PANS, RG 1, 33, 51–52, 171, 301–2; RG 5, A, 2–3. PRO, CO 217/36–37, 217/60–70. N.S., House of Assembly, Journal and proc., 1785–1800. “Poll book for the county of Annapolis, 1786,” ed. Karen Forsyth, Nova Scotia Hist. Rev. (Halifax), 1 (1981), no.2: 106–24. Directory of N.S. MLAs. Sabine, Biog. sketches of loyalists, vol.1. J. M. Beck, The government of Nova Scotia (Toronto, 1957). A. C. Flick, Loyalism in New York during the American revolution (New York, 1901; repr. 1969). Neil MacKinnon, “The loyalist experience in Nova Scotia, 1783 to 1791” (phd thesis, Queen’s Univ., Kingston, Ont., 1975). Murdoch, Hist. of N.S., vol.3. Margaret Ells, “Nova Scotian ‘Sparks of liberty,’” Dalhousie Rev., 16 (1936–37): 475–92. W. F. Ganong, “A monograph of the evolution of the boundaries of the province of New Brunswick,” RSC Trans., 2nd ser., 7 (1901), sect.ii: 139–449. Neil MacKinnon, “This cursed republican spirit: the loyalists and Nova Scotia’s sixth assembly,” Humanities Assoc. Rev. (Kingston), 27 (1976): 129–42. 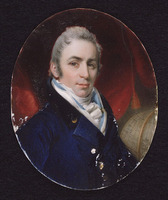 R. D. and J. I. Tallman, “The diplomatic search for the St. Croix River, 1796–1798,” Acadiensis (Fredericton), 1 (1971–72), no.2: 59–71. Judith Tulloch, “BARCLAY, THOMAS HENRY,” in Dictionary of Canadian Biography, vol. 6, University of Toronto/Université Laval, 2003–, accessed April 24, 2019, http://www.biographi.ca/en/bio/barclay_thomas_henry_6E.html.